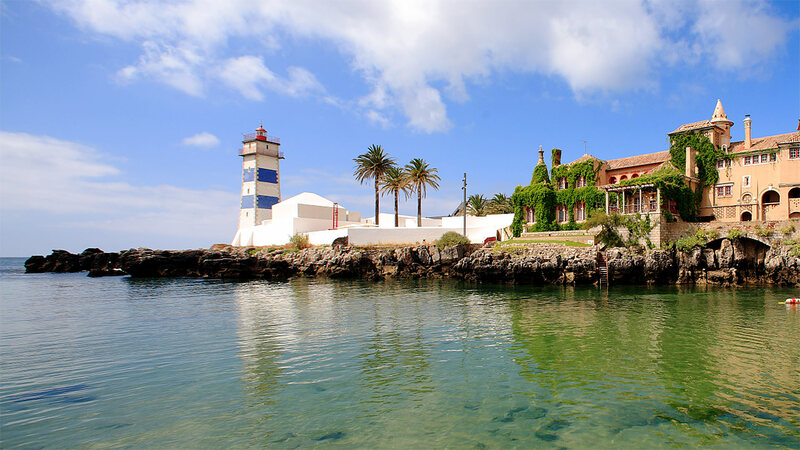 Although Cascais had a Jewish presence in the Middle Ages, this town received particular attention during Second World War when it becomes the main point of accepting refugees, especially Jews fleeing from the Nazi regime, a reality portrayed in the movie Casablanca. Many of these refugees were just passing through Portugal, while waiting for transport to take them to the United States, especially to New York, or Mexico City, Rio de Janeiro or Buenos Aires. However, the presence of many was extended when the US entered the war and travel across the Atlantic Ocean become increasingly rare and dangerous. 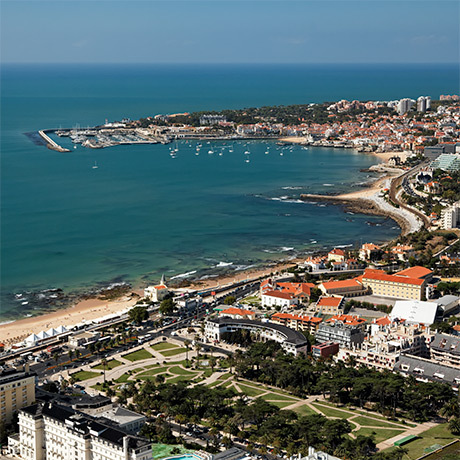 The presence in Cascais, especially in the Estoril area, had a certain charm, gathering spies and royal families, well-educated people and private citizens. 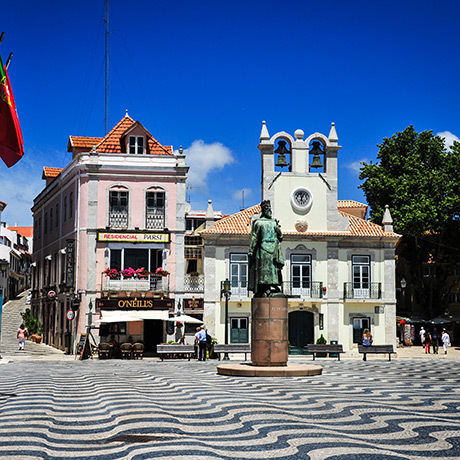 A certain freedom of movement was allowed by some of the refugees staying at the houses of important Portuguese families, and others for being hosted in hotels and enabled a deeper connection with the local society. Some of these refugees settled in Portugal, or became forever attached to Cascais. Among the many refugees who lived in Cascais and in Estoril in the 1940's, include, for example, the author of The Little Prince, Antoine de Saint-Exupéry that wrote the book Letter to a Hostage (1943) based on his experience, which describes the daily life of refugees. Duchess Charlotte of Luxembourg arrived with a visa signed by Aristides de Sousa Mendes, the Consul of Portugal in Bordeaux who granted thousands of visas to refugees, including Jews, against orders from the Portuguese Foreign Ministry. Include, among many others, Stefan Zweig, Moisés Ettner, Franz Werfel and Alma Mahler-Werfel, Isaiah Berlin, Peggy Guggenheim, Max Ophüls, Berthold Jacob, Fritz Teppich, Ference Chorin Jr. and Leonid Hurwicz. It is around these names and all anonymous refugees that the Memorial Space of the Exiles aims to memorialise and carry out research. In recent years, many foreign Jews migrated to this coastal town. 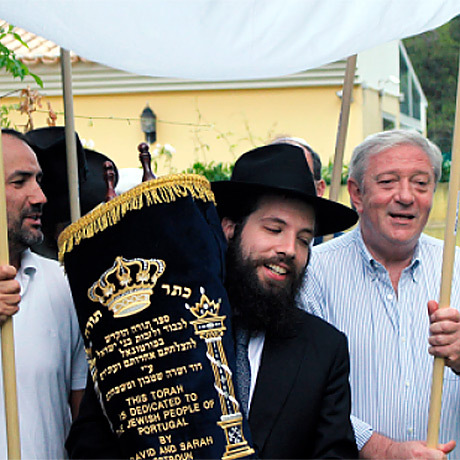 As a result of this growth, an organised Jewish community is being created that already received a Torah in 2015, recently drafted in Portugal. Every year Hanukah is celebrated publicly with the lighting up of Hanukah’s arms. In Cascais, the Jewish Life and Learning Centre is going to be built, image of the vitality of the Jewish community, welcoming more and more Jewish migrants from diverse backgrounds.